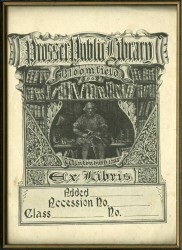 In 1900, Levi Prosser, the son of a prominent Bloomfield family, left 1/6th of his estate ($16,255.85) to the Town of Bloomfield to establish a free public library, although Levi Prosser himself was a resident of Massachusetts. Prosser Public Library was dedicated in 1903 and was housed in a multi-purpose building that included the Town Hall and was located on the Library’s present site, 1 Tunxis Ave. The library started out as one room in Town Hall, but eventually expanded to the entire first floor of the building. 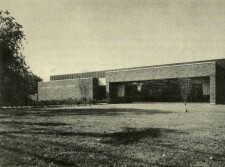 In 1963, the original building was torn down. Unfortunately, while the library’s collections were in storage at the Center Grammar School on Jerome Ave, that building was destroyed by fire along with most of the collections. 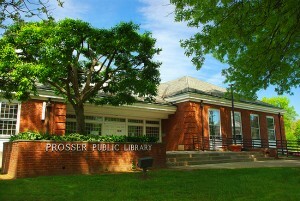 The present Prosser Public Library building was completed and dedicated in 1965. There were also precursors to the branch library, P. Faith McMahon Wintonbury Library. 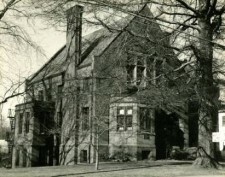 A home in North Bloomfield served as the first branch library beginning in 1908. 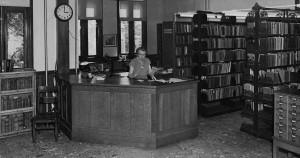 The Blue Hills Branch Library, also called The East Branch Library, was funded by the Women’s Auxiliary of the Citizen’s Party beginning in 1933, and was later supported by the Town of Bloomfield. Wintonbury Branch Library, located at 1015 Blue Hills Avenue, opened in 1972. The library was renamed the P. Faith McMahon Wintonbury Library on June 3, 2012, in honor of former Bloomfield mayor and state government legislator, P. Faith McMahon. The library is informally known as the McMahon Wintonbury Library. 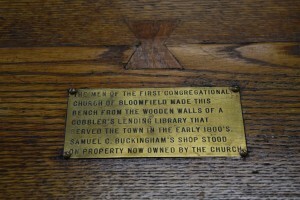 Affiliated with the Congregational Church. Inscriptions with this library name were found on some of the early books donated to Prosser Public Library. Books could be checked out and returned on the first Tuesday of every other month. Operated by Samuel C. Buckingham from his cobbler shop that was located on Tunxis Ave.
Goodrich, C. R. (1965). Over Tunxis Trails. Bloomfield: Connecticut Printers, Incorporated. Wintonbury Historical Society. (1983). From Wintonbury To Bloomfield. 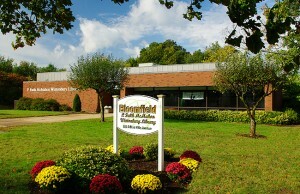 Bloomfield: Connecticut Printers, Incorporated.